All Around Moving & Storage has been providing the best professional moving services to individuals, families and business owners in Ann Arbor, MI since 1984. We take pride in a job well-done, and our moving company is available to help you relocate your home, office, apartment, or even your industrial facility. Our approach to relocation solutions involves taking an interest in our customers’ unique needs; therefore, we take the time to get to know our Ann Arbor customers like family. We create customized moving services that incorporate everything from your schedule to any sensitive or fragile items you may have. We even offer specialized movers in Ann Arbor, like antique furniture movers and piano movers. No matter what you need moved or where you need it moved to, our moving company can get it there securely at a great price. 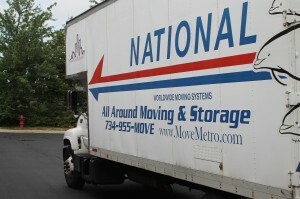 Why Choose Our Ann Arbor Moving Company for Your Next Relocation? We put each employee through a thorough drug screening and background check process before they are invited to be a part of our team. To find out more about this or any of the services that we provide, get in touch. Ann Arbor is the 5th largest city in Michigan and home to the distinguished Michigan University. Ann Arbor is an exciting place to live with lots of year round events. You can enjoy the area’s multiple parks, or catch a Shakespearean play by Shakespeare in the Arb. If rhyme and prose isn’t your scene, you can enjoy a relaxing cruise around the outdoor ice arena or catch a flick at the Ann Arbor Film Festival. With great restaurants, growing business opportunities, and a warm community spirit, Ann Arbor is the place to be! Contact All Around Moving & Storage for fast, affordable residential and commercial movers, and storage and warehousing services in Ann Arbor, MI. Call 734-941-2280 to receive a free quote today.